Otsego County 911 says a plane had to land without nose gear at Gaylord Regional Airport Thursday afternoon. Emergency Management and Homeland Security say no one was hurt. They say the plane had problems with the gear while trying to land. You can see the nose gear never came down. 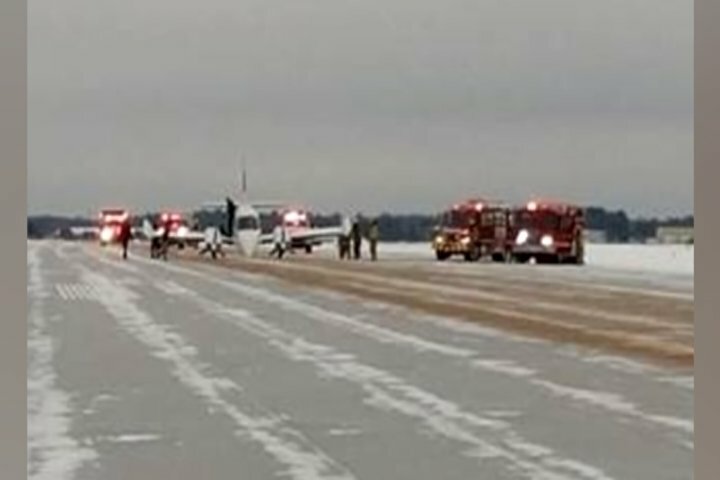 Otsego 911 says emergency equipment was on scene before the plane actually touched down. It landed safely with minor damage to the plane. We spoke to the Gaylord Regional Airport Director Matt Barresi shortly after the emergency landing. “Relatively soft landing under the circumstances, great response by our Emergency Management Team, Fire Department, EMS, just a great job all around,” Barresi says. Otsego 911 says there were no passengers onboard, just the pilot.